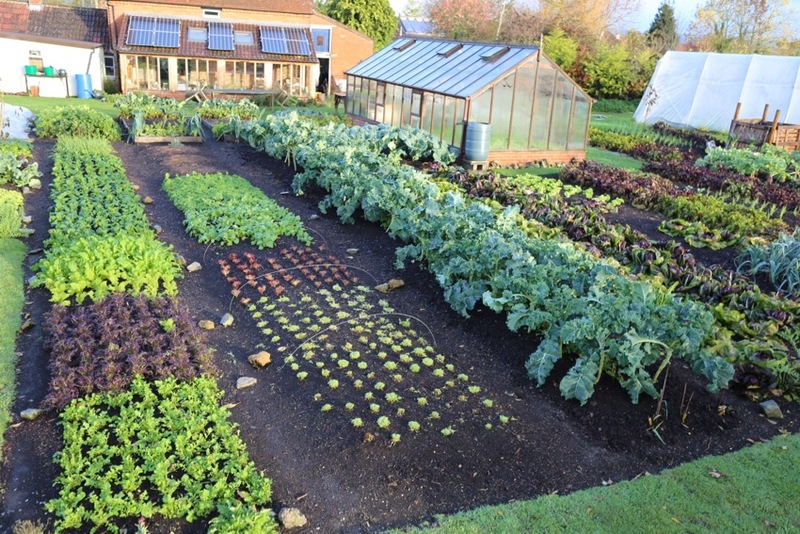 You see Homeacres garden with some beds now cleared and mulched for next year, others full of harvests to come I explain how we propagate and plant all of these, and you learn examples of succession. Also I show how we store vegetables for winter. The no dig approach underpins all my courses. It’s the most fantastic and simple way to care for soil and all its inhabitants. They repay you by helping the growth of healthy plants, with less pest and disease to worry about. Nonetheless there are often birds, insects and rabbits wanting our food: I show ways to prevent damage. For example you will see the use of fleece covers for early plantings, which speed growth as well as keeping pests off.